Meant to post this earlier, but I just got back from my graduation. Here is this week's game challenge. 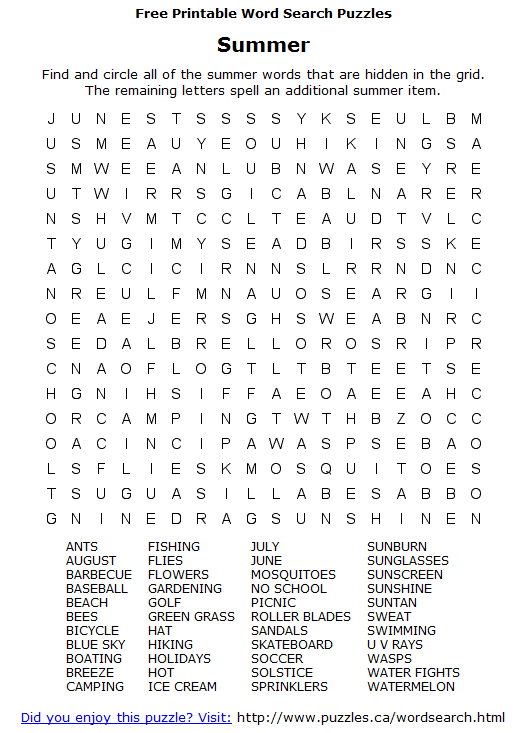 Description Solve the word search puzzle linked below, featuring words associated with summer. Post the results to your team thread. Submitting Submit here, to this post. If you have any questions please ask in the “questions thread” below. !you saw it here first folks!